CCC is excited to accept its second award for this blog — The Butterfly Light Award — from Sage Doyle, author of The Journal of Wall Grimm and guest blogger extraordinaire.Thanks, Sage! 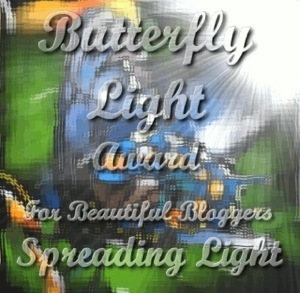 This award is given to those who are using their blog to spread light or be a positive influence in today’s world. We’re honored to accept this award, because we’re big believers in helping others, bringing a smile to people’s faces and Paying It Forward. With every post, we’re aiming to help business professionals and small business owners with their marketing, writing and social media efforts while also reflecting on life, lessons learned and what moves us as human beings. If one person walks away from reading a post with more knowledge, an idea for her business or a smile on his face, we’ve done our job. If we’ve accomplished one of these goals with you, please chime in and let us know about it! What post(s) or type of post(s) are your favorite? Now comes the hard part: choosing who we will bestow this award upon. We appreciate the entire CCC community for your loyal reading, continuing the conversation with your keen insights and comments and sharing our posts with your networks. When thinking about what this award stands for, one reader quickly came to mind. 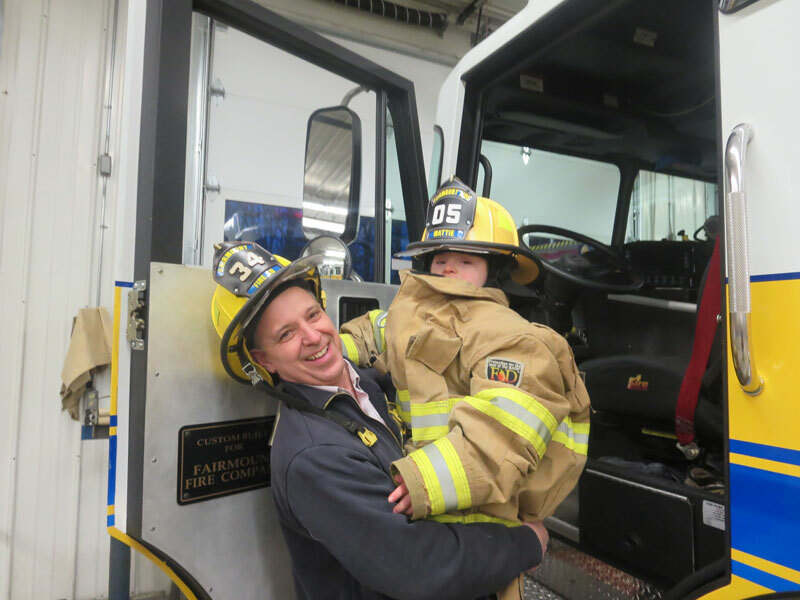 Rich is a small business owner, volunteer firefighter, husband and dad. He and his wife, Lisa, are blessed with two great kids, including Mattie, who has Down Syndrome. The family is active in promoting Down Syndrome awareness and supporting the Special Olympics. As a volunteer firefighter of 30+ years, Rich has been involved in numerous fundraisers, charity benefits and helping out those in need. He’s truly one of the good guys, and we’ve thoroughly enjoyed working with him for the past year. Congratulations Rich, you deserve it! Rich and Mattie hang out at Mattie’s favorite place — the fire station. Mattie wants to be the first firefighter with Down Syndrome. Go, Mattie! Thank you to Belinda for creating this award to promote positivity and helping others.